This month, November 2016, has been a time of upheaval. The election of the U.S. president has been full of divisive rhetoric. All the new ways that we have in which to communicate with each other have not led us to understand one another. Things seem difficult, strange, cold. But I take courage from the great faith I have in the human spirit - in our ability to heal the rifts that have been exposed and to continue to address critical human rights issues. Now more than ever, artists must be present. We must bear witness. We cannot be silent. During this month, November 2016, Cuatro Corridos - our labor of love - has reached another project milestone: our recording has been released on Bridge Records. I am pleased and proud of the efforts of my colleagues and friends and all who made the recording possible. I feel an urgency to continue the type of work that we have started, now more than ever. 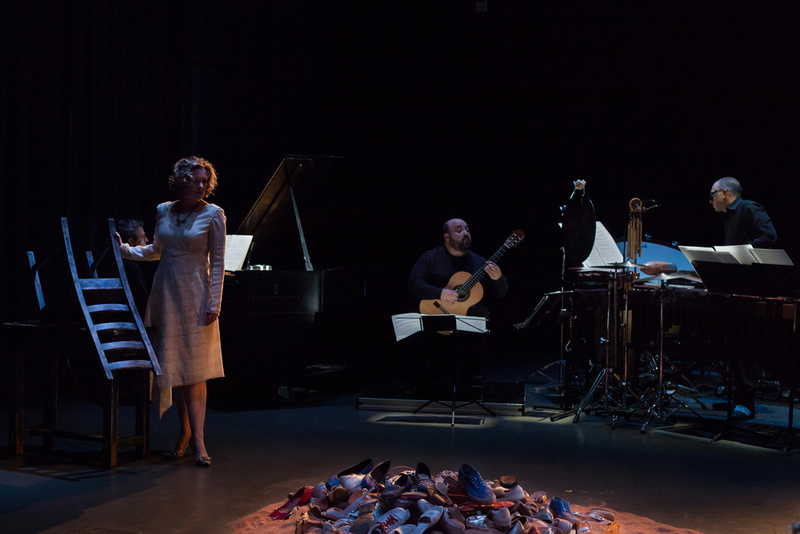 Cuatro Corridos is a chamber opera and a project in which many lives and ideas intersect. It speaks to tragic circumstances for which there are no easy solutions; it poses more questions than answers. It reflects the border that defines its story; in all of its complexity, it simply speaks about our time. As a New Year begins, I'm taking a moment to look back. Our opera project , Cuatro Corridos, had quite a year - and yes, the choice of modifier is deliberate. 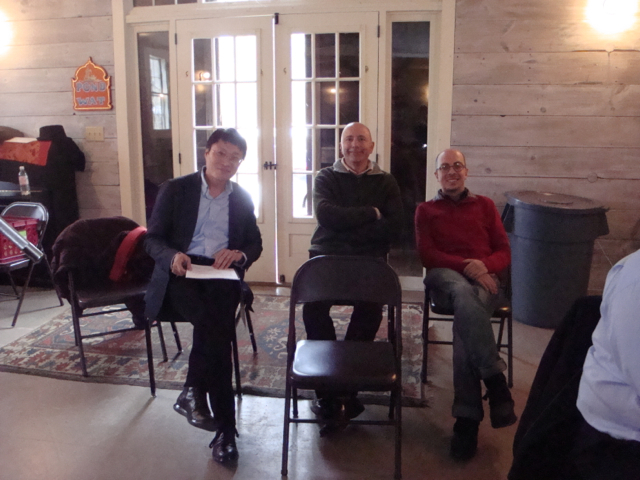 I know how fortunate I am to be able to work alongside Aleck, Pablo, Ayano, - three virtuoso musicians, Jason - our peerless technical director and Ruby, who keeps everything on track. 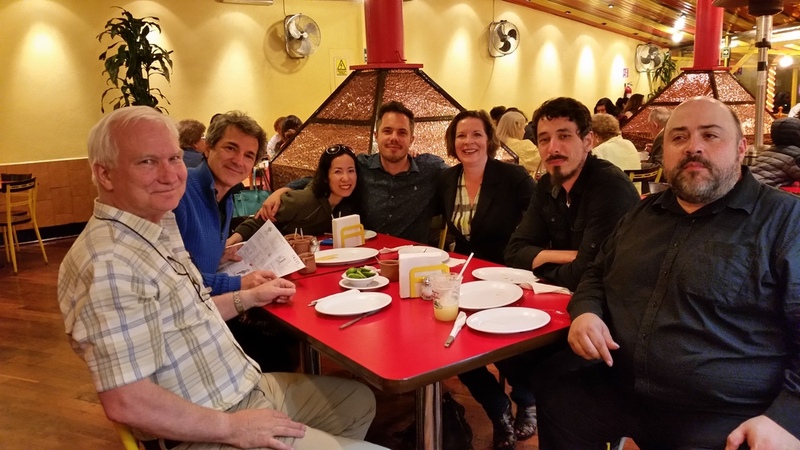 We are so lucky to be able to present the work of four exceptional composers, Hebert, Arlene, Lei and Hilda, and and the extraordinary libretto of Jorge Volpi, who has done so much to help Cuatro Corridos have a robust life. I am grateful for each and every one. In February, Cuatro Corridos was the subject of a feature article in Opera Magazine, China's only journal dedicated to the subject of Western Opera. 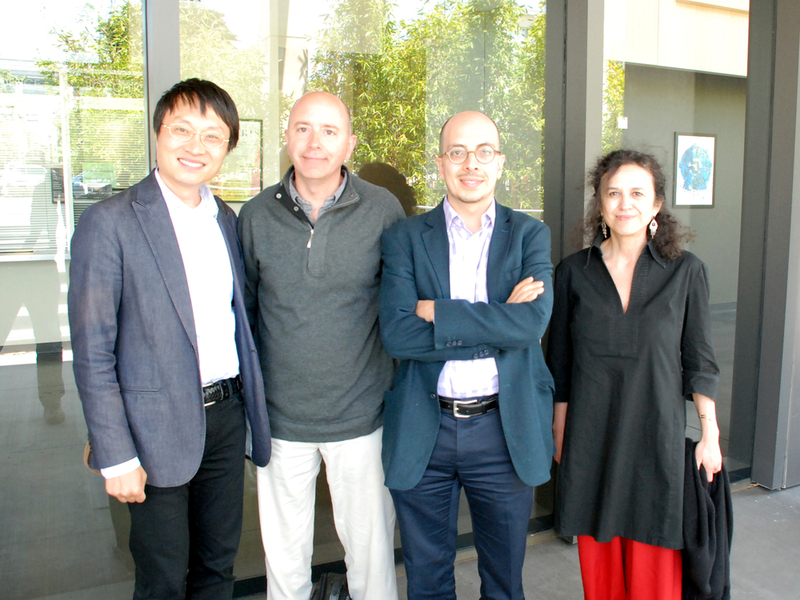 The comprehensive article, entitled On the American chamber opera Cuatro Corridos: Tragedy and the underclass, was written by Lei Liang's parents, two eminent Chinese musicologists who attended our Los Angeles performance in August of 2014. During the same month, we also learned that we had been awarded a grant from the Alice M. Ditson Fund to support a commercial recording of Cuatro Corridos on Bridge Records. 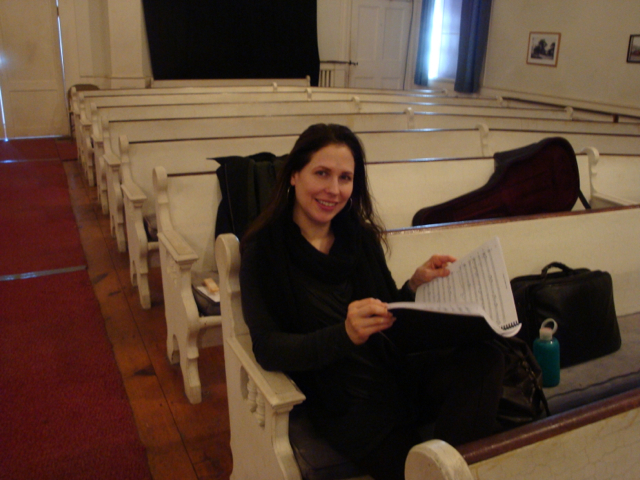 Our recording sessions took place in March, led by our friend Adam Abeshouse, one of the very best in the business. The recording will be released later this year and we look forward to sharing it with our friends near and far. Thanks to the efforts of Jorge and Pablo, Cuatro Corridos had a remarkable year of performances in Mexico. 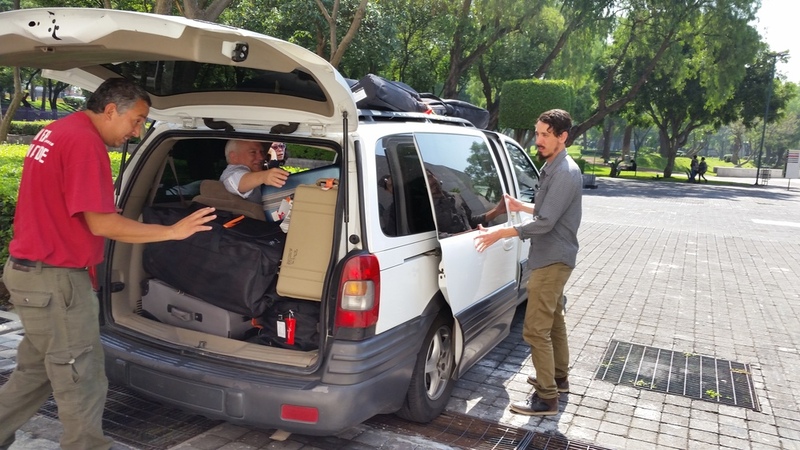 Our three Mexico City performances at CENART in May were the focus of quite a bit of media attention, both in print journalism and in broadcast news. Our first performance was live-streamed by the team at CENART and the final performance was captured for broadcast on Canal 22, Mexico's cultural channel during September. The Mexico City performances coincided with the debut of the feature length film "The Chosen Ones" at the Cannes Film Festival, whose screenplay was based on Jorge's libretto for Cuatro Corridos; the film earned critical acclaim as one of powerful dramatic impact. 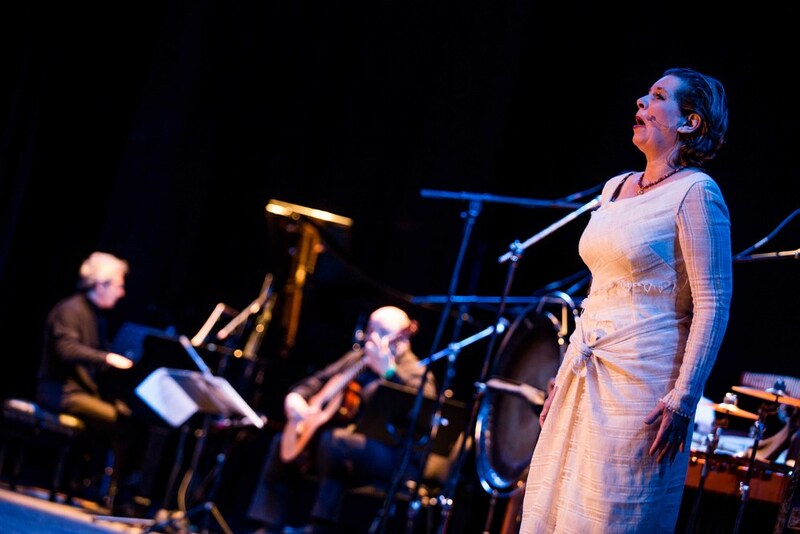 Our Mexico City performances also brought Cuatro Corridos to the attention of Siglo Nuevo Magazine; the opera was the subject of a feature article in the magazine's July 2015 issue, which addressed complexities of racial discrimination in Mexico. Thanks to the efforts of Ayano Kataoka and UMass Amherst, and with support by the National Endowment for the Arts, Cuatro Corridos had its first East Coast performance in October. Our performance was preceded by a panel discussion led by UMass Assistant Professor Lauren McCarthy, on the Realities of Human Trafficking. People sometimes think that that human trafficking is a border issue; but unfortunately it can also be found wherever migrant labor is a significant part of the agricultural workforce. As I listened to the discussion, I was aware, yet again, of the complex web of circumstances that enables human trafficking to exist. And I was also heartened to hear about the efforts that are being made, through means of legal aid, labor rights advocacy, academic research and student activism all focused on addressing the issue. 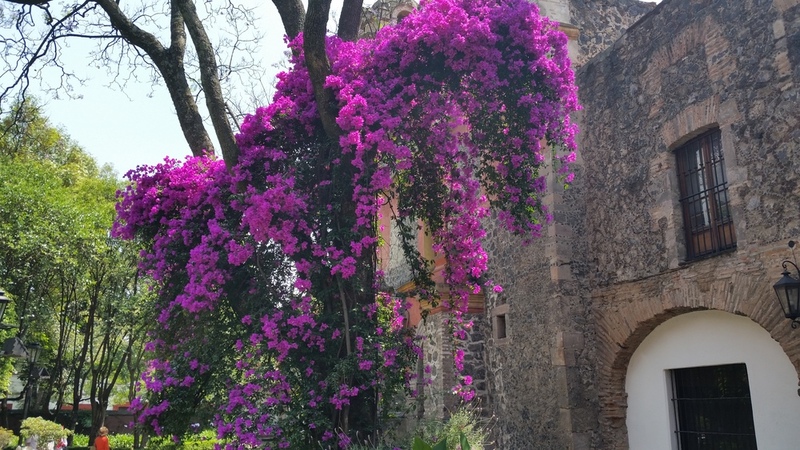 At the end of November, we traveled to Guadalajara. 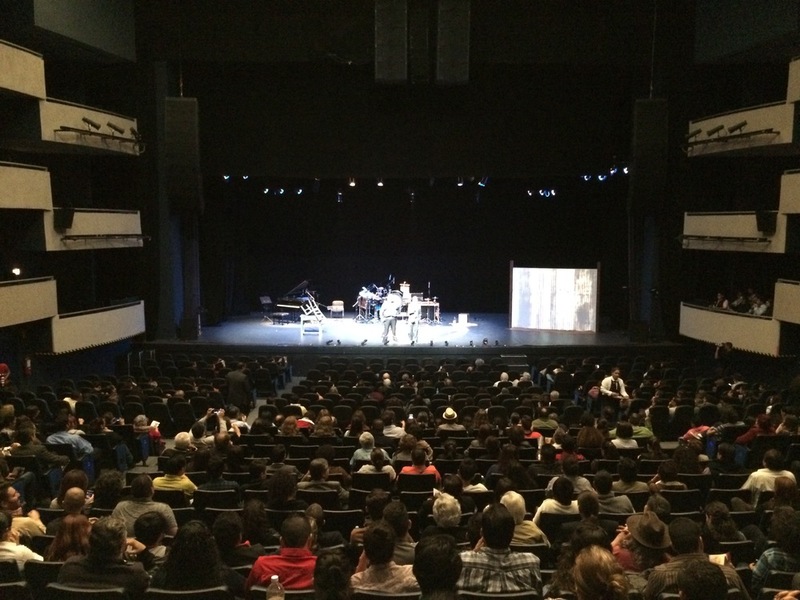 Cuatro Corridos was one of six special performing arts events presented by the 2015 FIL/Guadalajara International Book Fair. The book fair was housed in a convention center that was vast and buzzing. Thousands upon thousands of people of all ages,all gathered around a celebration of words and ideas. 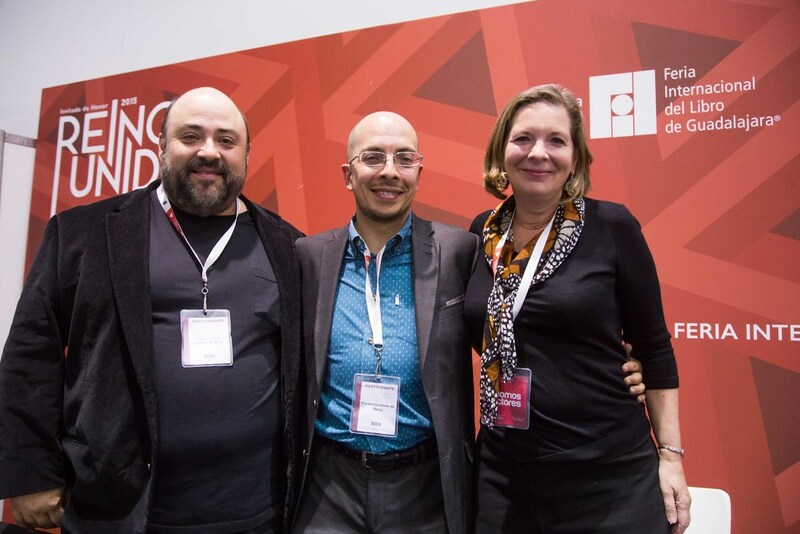 Jorge's full-length novel based on the libretto of Cuatro Corridos was one of the works presented at the fair and we had many opportunities to talk about the opera and the conversations that it has sparked within the public sphere. When the lights came up for the beginning of our performance at the Teatro Diana, I saw over one thousand people in the audience. I never could have imagined that. About two hundred people stayed afterward for a talkback session with Jorge, Pablo and I - something that I understand is extremely rare occurrence in Mexico. 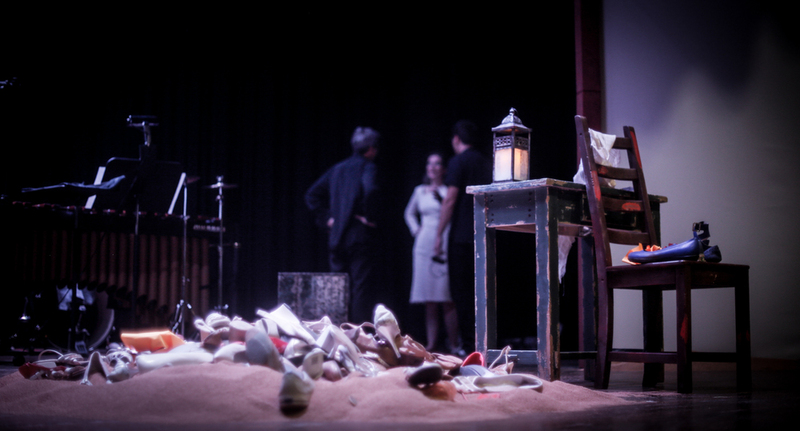 The topics ranged from questions and comments about the production and presentation of the opera, to the simple "We have heard your opera about human trafficking. Now what? Do you propose more?" There was a silence may have been uncomfortable for others, but not to me. I spoke about the fact that human trafficking is not a Mexican problem. It's not an American problem. It's a global problem. The art we present cannot solve the problem. But what it can do, and what it does do, is bring us into the same room, to recognize our shared humanity and common values and to have a discussion. It may seem like that is not very much. But seeing how much more visible the issue of human trafficking has become since 2011, the year we first began discussing the project, I can tell you it is a lot. One conversation leads to another and awareness begins to spread. The month of January has been designated as the month of Human Trafficking Awareness. So I am particularly grateful to be able to perform Cuatro Corridos next week at UC San Diego, and to continue the conversation this year. Pope Francis' New Year's Day address was entitled "Overcome indifference and win peace". He asks all of us to shake off indifference to our neighbors and to recognize that we are all connected. We are. And through that connection, we are capable of bringing human trafficking to an end. 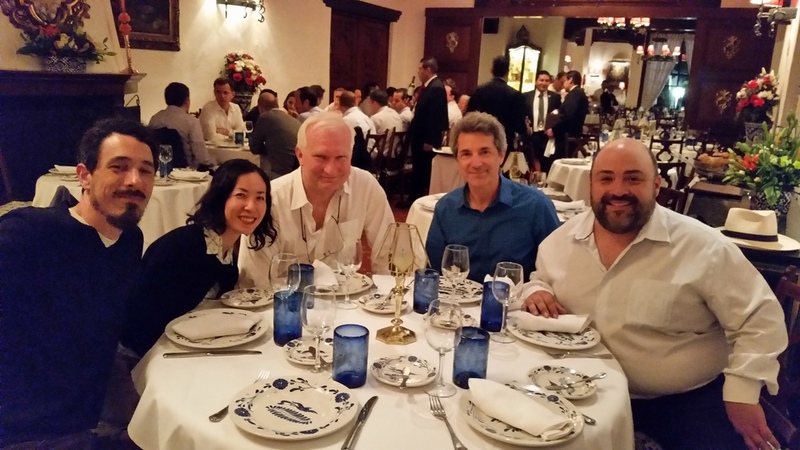 Our long awaited trip to Mexico City took place this month. 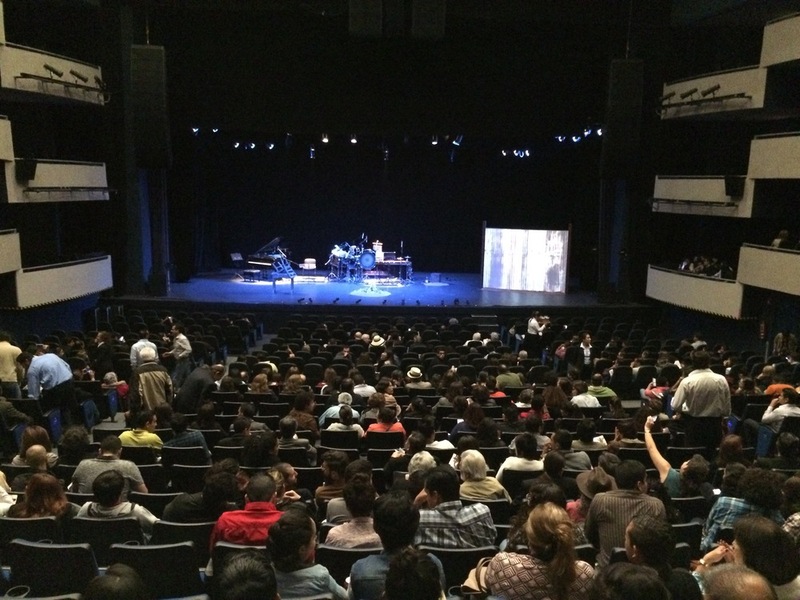 Thanks to Jorge Volpi, Pablo Gomez and the extraordinary people of Centro de las Artes (CENART), Cuatro Corridos was presented for three performances at the gorgeous Theatre de las Artes on May 15-17, 2015. I knew that it was going to be a remarkable trip when Pablo Gomez and I skyped in to a news conference at CENART on May 6. Jorge spoke about the libretto for Cuatro Corridos, which has been developed into a film ("The Chosen Ones", presented to critical acclaim at Cannes Film Festival last week) as well as a forthcoming novel. Pablo and I spoke about musical arc of the opera and the impact that the opera has had on audiences. On the day of our dress rehearsal, we had over two dozen representatives from the media in attendance; previews of the performance were broadcast on Uno, Channel 22 (Mexico's cultural channel), Notimex and distributed through AP throughout Mexico and South America. Our Friday performance was streamed live on CONCULTA, and will be rebroadcast in the future. Cuatro Corridos will be the subject on an hour long program on Channel 22 as well. I was overwhelmed; it is gratifying that so many people are interested in the project and the broader discussion about human trafficking. I started so many conversations with people who want to create a world that is free of human trafficking. And I am looking forward to continuing those conversations, each and every one. On a different note, it was lovely to have Cuatro Corridos group together again, with our new technical director, Jason Ponce. Together we valiantly fought the battle of set transportation, which, incredibly, went off without a hitch. 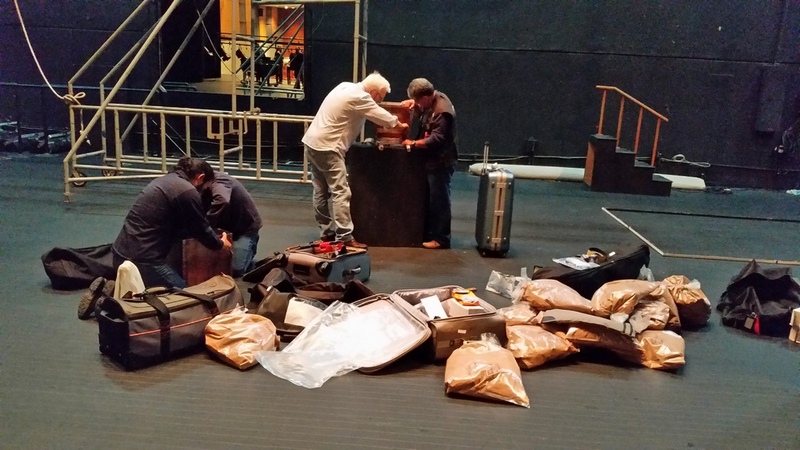 Thanks to Julio Valle, who helped us patiently, and to the wonderful team of theater professionals at CENART, who assisted us in transforming a mountain of luggage into our set. We were happy to see Hebert Vázquez, who traveled up to see the show, and to get a warm message from Hilda Paredes, who watched our live stream broadcast from a residency in New Hampshire. We had a host of other friends and colleagues at the performances and felt right at home. My colleagues, Aleck, Ayano and Pablo, continue to amaze me with their superlative music-making and dedication to the project. 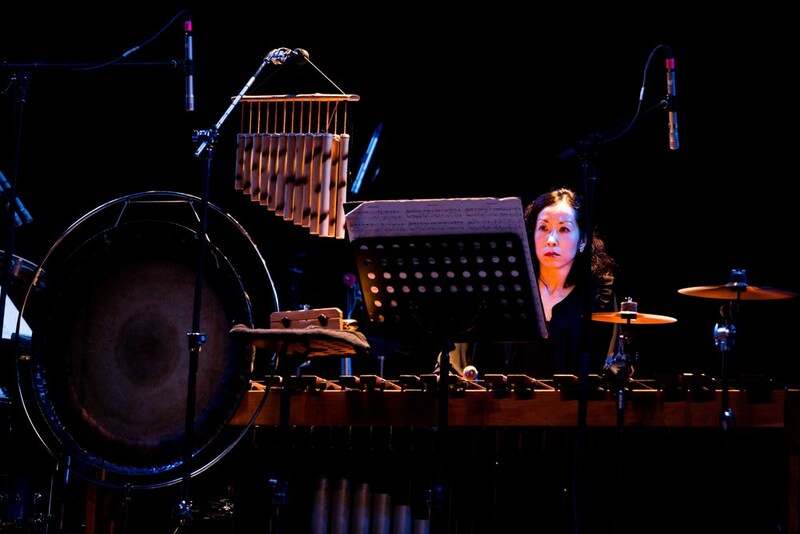 These three performances in Mexico City bring the total number of performances of Cuatro Corridos to ten, almost two years to the day since the project's world premiere. Our March recording of the project, with Adam Abeshouse, will be released on Bridge later this year. And while our plans for Cuatro Corridos' next season are still being finalized, the invitations include Huddersfield (U.K.), Guadalajara and UMassAmherst. Human trafficking is a complex problem; there is no "easy fix", no obvious solution. But there is reason to hope - in April, the United States Senate finally passed a bill that would impose harsher penalties on traffickers and a recent New York Times exposé on workers in nail salons puts more attention on vulnerable women "working" in circumstances that are scandalous. If only we could snap a finger and create change! In the meantime, we can at least stand among those contributing to awareness. I’m fascinated by the way some ideas enter the public sphere, take hold and spread. I see how trends in new music and art, initially forbidding and seemingly impenetrable, can capture the public imagination. Sometimes it's just a passing trend. But sometimes, the art or music becomes a catalytic force; it’s a springboard for discussion, it generates new work. It sets us in motion. I’ve noticed a change in the landscape of public awareness about human trafficking since 2011, the year we began to develop Cuatro Corridos . At that time, human trafficking was beginning to emerge in the public consciousness as one of the critical human rights issues of our time. Over the past three years, I’ve learned a great deal. I think back on conversations with my friend Lauren Vitiello, who works for the USCIS Asylum Office and attorney Dahlia Setareh and reading a remarkable series of articles written by San Diego U-T reporter Elizabeth Aguilera. I reflect on the presentations given by representatives of organizations with whom we’ve worked in presenting public forums. Each piece of information informs my understanding of the complex issues surrounding human trafficking. Each person with whom I speak informs my performances as we continue to present the opera. I notice a change in the public landscape as well. While standing in line at the San Diego Airport, and staring idly at the electronic signage reminding me to take off my shoes, I was surprised to see a panel dedicated to human trafficking awareness. I noticed similar signs popping up in all types of public transportation, from campus shuttle buses at UC San Diego where I work, to subways of the New York City MTA. During a cross country trip earlier this year, I saw large billboards denouncing human trafficking in Missouri, Oklahoma and Arizona. My sister-in-law Donna gave me a newspaper article about the formation of a human trafficking task force in Arkansas. These incremental changes may seem small, but taken together they have enormous impact. Because the truth is, one of the biggest challenges to building awareness is simply making the idea visible. Victims of human trafficking face this challenge every day; they are hidden in plain sight. It’s heartening to see that we’re being reminded, over and over, in public spaces, to engage with the idea that human trafficking is unacceptable. And there are many more artists who are speaking out against human trafficking. I am proud to be part of a growing community of artists, including photographer Kay Chernush and musician Mark Sullivan, who are also constructing engaged, sustained responses to the issue, through the arts. During my time at the Cervantino Festival this year, I had the chance to see a remarkable exhibit on view in the central square of Guanajuato by the artist Marya Martell. The exhibit entitled Sueños Roblados was a series of enlargements of photographs which document the empty rooms of girls who have disappeared. We know nothing about what happened to the girls; they may be be trafficked or murdered. An empty bed, a poster on the wall, a room filled with dolls and pillows; Martell provides evidence that these young women existed. No matter how unlikely the possibility that they will return, the photographs serve as a testament to their lives and a reminder to us that much more needs to be done. I found it incredibly moving. Cuatro Corridos has given me a chance to be a part of this evolving landscape of awareness. Since the San Diego premiere in 2013, we’ve taken the project to Tijuana, Dallas, Albuquerque and Los Angeles, and are bringing to one of the most important theaters in Mexico City this coming May. I'm pleased by what we’ve been able to accomplish and grateful for the support of everyone who has contributed to the project. I wish that we could snap our fingers and that human trafficking would vanish - that the whole notion would be unthinkable. Real life is a lot more complicated than that and there’s no simple solution. But I’m proud - very proud - to be part of a growing number of people who are walking in the same direction, though a landscape that is slowly and steadily, beginning to change. After a hectic year, I've finally had the time to curate materials to be added to our re-designed project website. It's given me an opportunity to reflect on Cuatro Corridos - where we've come and where we are going. Cuatro Corridos grew from a conversation that I had with Pablo Gomez in June of 2011. We spoke about our mutual interest in creating a performance project that spoke to U.S. -Mexican border issues. At that time, I had little knowledge about human trafficking, and certainly no idea about the extent of the problem. As Jorge Volpi joined the project and proposed creating a libretto which focused on the issue, my journey toward awareness began. Now, a little over three years later, many things have changed. It's fair to say that the issue of human trafficking has been in the spotlight repeatedly throughout the past few years. I would imagine that more and more people have gained a fundamental awareness about the issue. And that's a very good thing. But there is an enormous amount of work that needs to be done, both in terms of raising awareness and bringing political and social pressure to bear on the forces that enable human trafficking to exist. Through our performances of Cuatro Corridos, I have met some of the people and organizations who do the difficult daily work that can effect change. We have had the privilege of having representatives from prominent NGOs and state governments, academics, journalists and activists on our forums. I wanted to share excerpts from those forums and am pleased that to able to do so. I hope that you will take a moment to explore the recordings; when I listen to them, I am inspired by what these amazing people and organizations are doing. I am honored that Cuatro Corridos will be presented by the Legal Aid Foundation of Los Angeles at Zipper Hall on August 8. Our UC San Diego forum participant, Daliah Setareh, is an attorney for LAFLA and we are very pleased to be featured at their gala benefit. 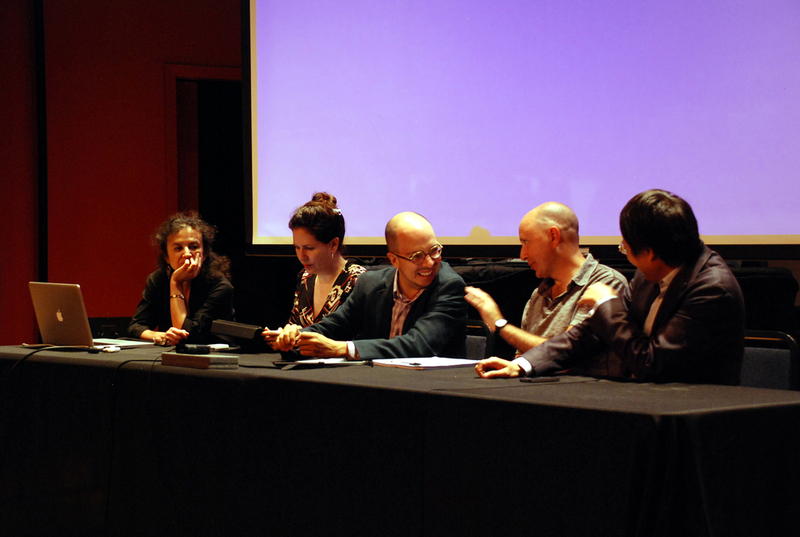 I am also happy to share some excerpts of Jorge Volpi, our librettist and our four composers Lei Liang, Hilda Paredes, Hebert Vazquez and Arlene Sierra in a panel discussion that coincided with the project's world premiere. Their thoughtful remarks give an insight into their creative process and the astonishing musical landscape they've created for the four characters of Cuatro Corridos. People often ask me if art makes any difference. The scope of human trafficking is enormous and the situation so incredibly complicated. One audience member told us that he approached the project with skepticism, wondering if it was just "another tragic story" told by folks whose lives were far, far away from the problem. I was heartened to hear that he was drawn in - completely convinced by what he saw. 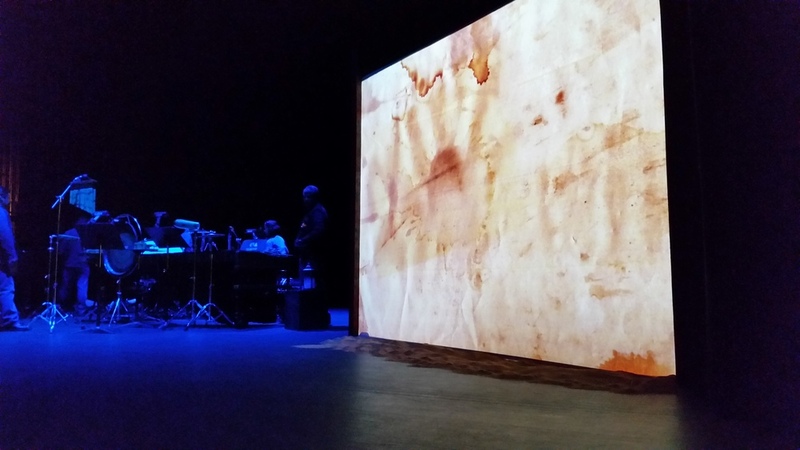 I'm also pleased to report that Cuatro Corridos was one of 38 opera projects to have been awarded an ArtWorks Grant from the National Endowment for the Arts. Looking to the future, the grant will help to support domestic touring of the project, now in the planning stages. I want to live in a world in which human trafficking does not exist. Can art make a difference? It depends on the difference you allow art to make in your life. It's the time of year when it's customary to look back and reflect. What do I see? If I limit my gaze to the Cuatro Corridos project, I see our premiere seven months ago in San Diego and successful performances before large audiences in Tijuana and Dallas since then. I remain grateful to our funders, the members of the creative team and my colleagues, all of whom contributed so much to bringing this opera to life. I also see our collaborations with extraordinary organizations and great people doing the difficult, daily work of helping victims of human trafficking. It's been an incredible journey. The International Labour Organization estimates that women and girls represent the largest share of forced labor victims. Human trafficking is the third largest international crime industry (behind illegal drugs and arms trafficking. )It reportedly generates a profit of $32 billion every year. That's the bigger, tougher picture. Before Cuatro Corridos, my awareness of the extent of modern day slavery was practically nil. I imagined it occurring rarely and in remote locations. Now, I know differently. There are so many organizations doing tremendous grassroots work who could use our support: the Cuatro Corridos forum participants in San Diego (Legal Aid Foundation), Tijuana (International Network of Hearts) and Dallas (Mosaic Family Services) are just some. The international organization Polaris Project has a website full of information and is making a difference on a global scale. One of the most popular posts on social media sites recently has been a New York Times article on the value of the "selfie" - you gaze at yourself on a four inch screen, take a photo and shares it with the world. In 2014, I think I'll try to keep looking out at the bigger, tougher picture and inviting others to do the same. *Statistics from CNN's Freedom Project and DoSomething.org. It has been about six weeks since our performances of Cuatro Corridos in Tijuana, B.C., Mexico and at the Nasher Sculpture Center in Dallas, and it's time to share some impressions and to say thanks, once again, to a group of special people. I sit down to write about the experiences of performing in Tijuana, and one word keeps coming to mind. That word is "magic". As those of you familiar with this project already know, Cuatro Corridos is based on a true story - one that took place in the San Diego/Tijuana border region. 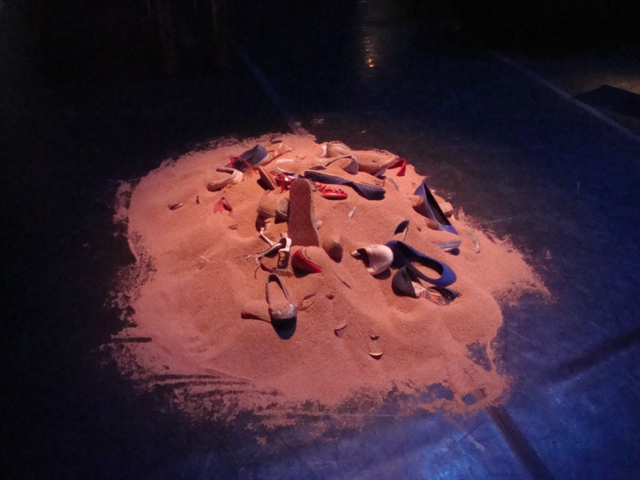 After our performances at UC San Diego in May, I wanted very much to bring the project to Tijuana. "Want" is actually not the right word; I thought it was crucial. I had no idea how we would accomplish this; but I did know that, somehow, we needed to do it. 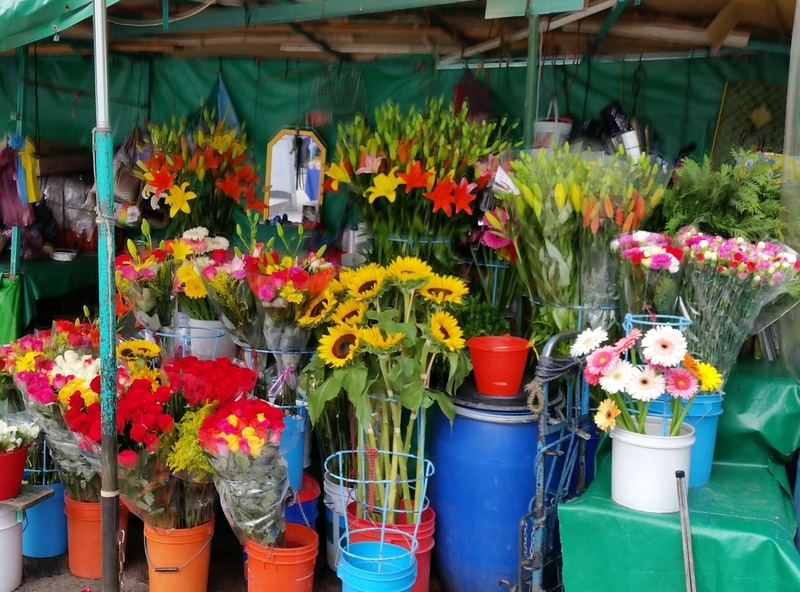 After talking with my team (Ruby Cougler and Susanna Waiche Pores, two women who don't know the meaning of the word 'impossible'), we went to Tijuana to look around. I've written in another post about that experience. There were vibrant, hauntingly beautiful spaces, full of possibilities - but none that would accommodate the needs of the production. We couldn't transport a grand piano and two tons of percussion up three flights of narrow stairs. We wouldn't be able to control the lighting in the pasajes. I was beginning to think that it simply wasn't going to work, and this dream would have to wait to be fulfilled. 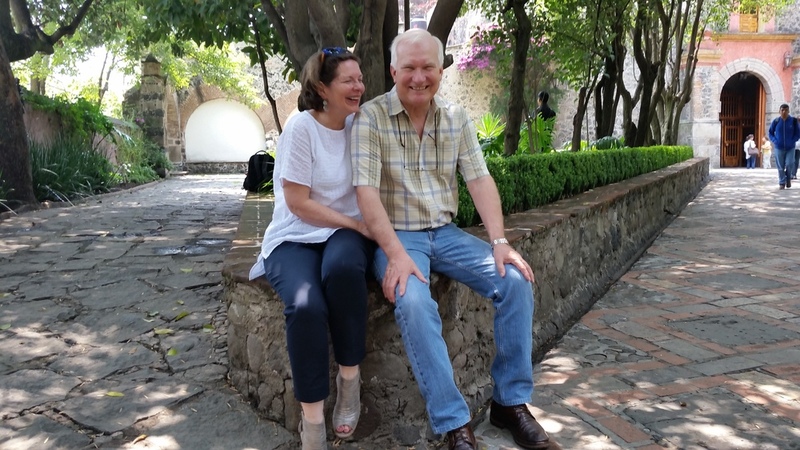 Then we met two of the most special people on the planet: Carmen Garcia Montaño, Director of the Casa de la Cultura and Walter H. Padilla Ramírez, the Binational Liaison of IMAC. We visited the Casa de la Cultura and proposed the idea of the opera and a forum on human trafficking. They were enthusiastic and supportive; we saw their newly refurbished theater with beautiful acoustics. From the technical staff who helped with our setup to the cafe staff who made tasty meals, everyone at the Casa de la Cultura and IMAC helped us. They supported us every step of the way. Through the graciousness of the Baja California Orchestra, and three distinguished musicians from the Centro de Artes Musicales - Maestros Jorge Fernando Peña, Hector Octarula and Gibrán Resendiz, we were able to obtain the huge battery of percussion that the piece needs, no mean feat. 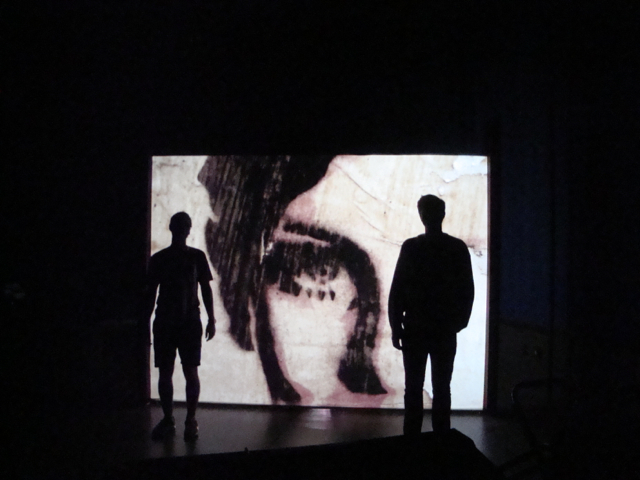 Our project has two components: performance of a modern opera and a forum on human trafficking. For our Tijuana performance, Walter played an essential role, extending the invitation to Yetzira Shandiel Alonso from the Estudios y Servicios para la Mujer y el Niño, A.C. (Grupo Apoyo), Sara Amelia Espinosa Islas from the Universidad Iberoamericana de Tijuana and the two of the leaders of the International Network of Hearts, Alma Tucker and Manolo Guillén. A very special woman named "Rosa" accompanied Alma and Manolo. "Rosa" had been trafficked and offered a personal testimony. We are deeply grateful for her act of courage, and to all the forum participants, who generously gave of their time to present a pre-performance forum at the cafe in the Casa de la Cultura. Walter and Carmen did an incredible job of helping spread the word about Cuatro Corridos. The forum was completely full, and our opera had an audience of approximately four hundred people. Through the generosity of the MAP Fund for the Performing Arts/Doris Duke Charitable Foundation, we were able to present Cuatro Corridos free and open to the public. I was happy to see a number of friends and colleagues from north of the border at the performance, and meet so many people from the Tijuana community. People thanked me for bringing this project to the Casa, but really, I am the lucky one. 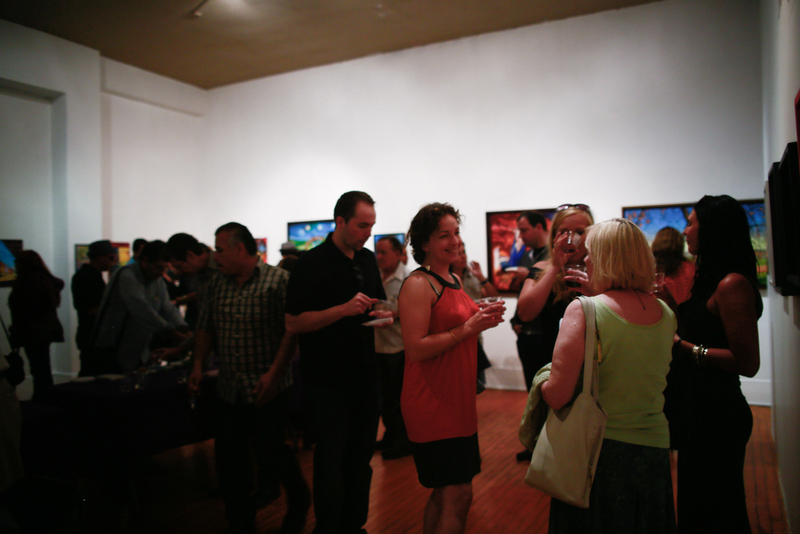 Art is alive when it brings people together. How remarkable to find so many extraordinary people committed to helping us make this project happen. 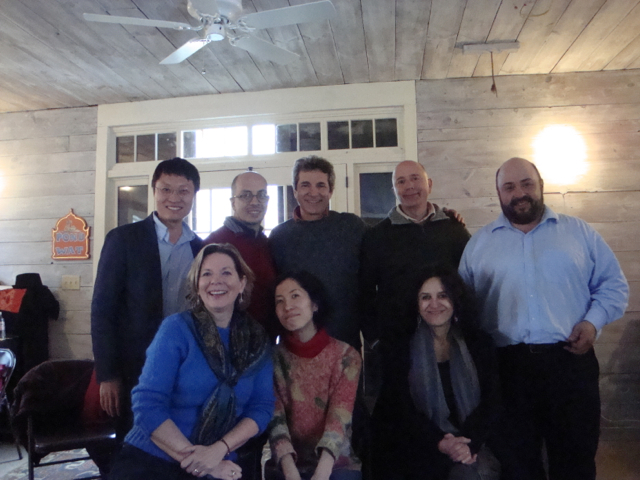 We were truly welcomed, with the kind of warmth and graciousness that resonates long after the day is over. I still feel it. Within a week, we traveled to Dallas, Texas to present Cuatro Corridos on the prestigious Soundings Series at the Nasher Sculpture Center. We are truly grateful to Jeremy Strick, Director, Jill Magnuson, Kristin Miller, and the wonderful staff at the Nasher for helping us to present our first performance in a non-traditional space. Through creative use of elegant in-house wooden platforms and the lighting equipment that travels with the show, our production team re-created our set elements, and adapted our production to fit into the intimate, acoustically fine setting that houses this wonderful concert series. I am especially grateful to Seth Knopp, Artistic Director of Soundings. Seth saw the project in its early stages during our Artist Residency at Yellow Barn, and was committed to bringing the fully-staged production to Soundings. Seth was also instrumental in organizing our post-concert forum by connecting us with two remarkable people from Mosaic Family Services, Tasha McGhie, Human Outreach Coordinator and Bill Bernstein, Deputy Director. Mosaic is one of the primary NGOs working with victims of trafficking in the Dallas Metro Area. Tasha and Bill contributed so much to the discussion, sharing insights about the challenges that confront them. They described the complexities of working with individuals who have been trafficked and spoke about what ordinary citizens can do to make a difference. As always, I came away with a much deeper understanding of the complexities of the issue and with yet more admiration for those who address it on a daily basis. There's so much still to do. I'm so happy to be able to share this short video about our Tijuana experience made by Miguel Buenrostro and his Reactivando Espacios team. I am honored to be working with these excellent filmmakers. Our journey continues. Thanks to those of you who have shared words of support and encouragement for our project. We are proud to play a part in the worldwide movement to eradicate human trafficking. My thanks to my wonderful team who helped us put these two performances together, Katie, Kristin, Sam, Ruby and Susanna - and to my amazing colleagues, Aleck, Pablo and Ayano, for inspired music making and to my husband David, who makes everything possible. A short film by Reactivando Espacios. Cuatro Corridos had it first international performance on September 28, 2013. 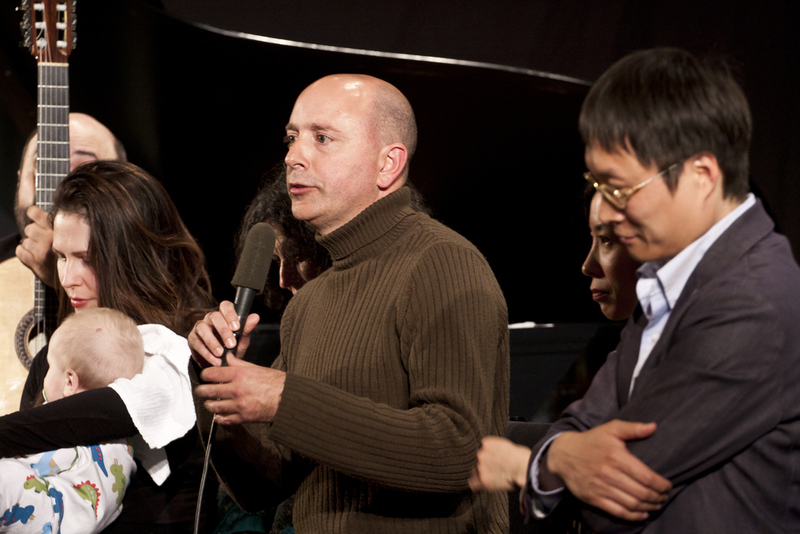 The opera was preceded by a forum on human trafficking, moderated by Walter Padilla, Cultural Liaison of IMAC. The panelists included Alma Tucker and Manolo Guillén from the International Network of Hearts, Yetzira Shandiel Alonso from the Estudios y Servicios para la Mujer y el Niño, A.C. (Grupo Apoyo) and Sara Amelia Espinosa Islas from the Universidad Iberoamericana de Tijuana.